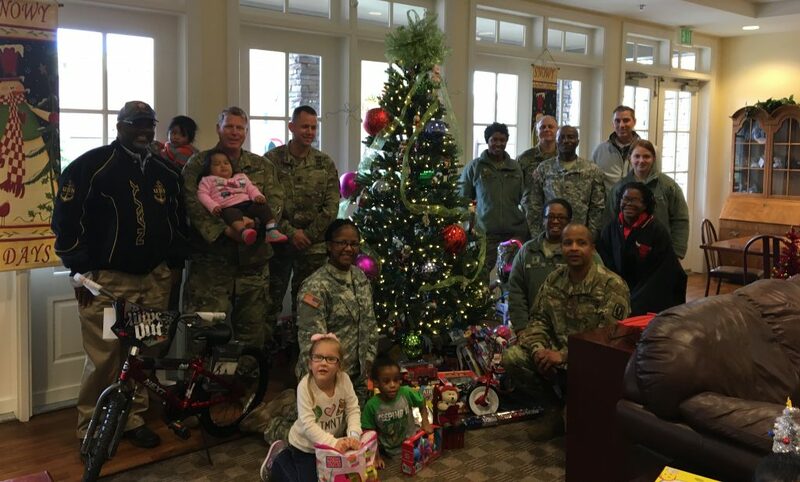 It was an amazing moment when the members of the Brigade came in with toys slung over their shoulders like Santa. They were able to meet many of the children they will be helping. “What the Ronald McDonald House provides to families in their time of need could not be measured. The smiles I saw on the parents and children’s faces was enough for me to do it again.” – Mr. Derrick McKinney from the group told us. 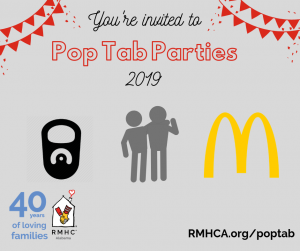 The toys donated will be included in what we call Ronald’s Workshop. The program allows families in the House to secretly “shop” for their children at no cost to them. They can then get the gifts wrapped and hide them until Christmas morning. This allows every kid to know Santa was able to find them, no matter where “home” may be on Christmas morning. 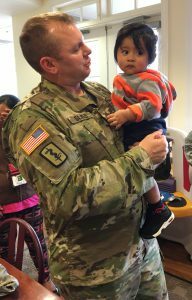 We are able to provide this program because of volunteers like the 5th Medical Brigade. “The Ronald McDonald House was chosen for the immediate impact it delivers — something you can see and feel. What we gave was HOPE.” – Mr. McKinney went on to tell us.